Ran across a word I didn’t know today, but one I look forward to using over the Holidays. 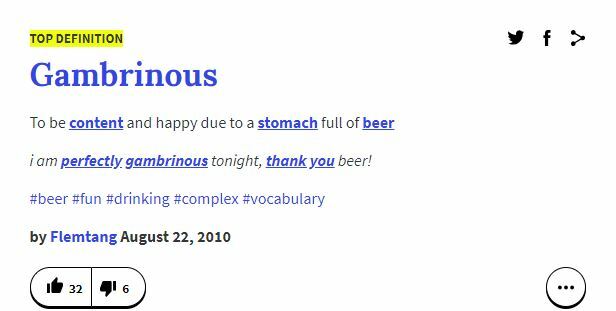 Gambrinous – Per the Urban Dictionary: To be content and happy due to a stomach full of beer. Found it elsewhere as just “Full of Beer”, but I like the Urban Dictionary definition above better! I received a copy of this article (right) from USA Today from a friend. Didn’t realize that we were both kindred spirits and fans of Penn Jillette before this. Back in the ’90s I actually subscribed to PC/Computing Magazine mainly for his one page op-ed on the last page. 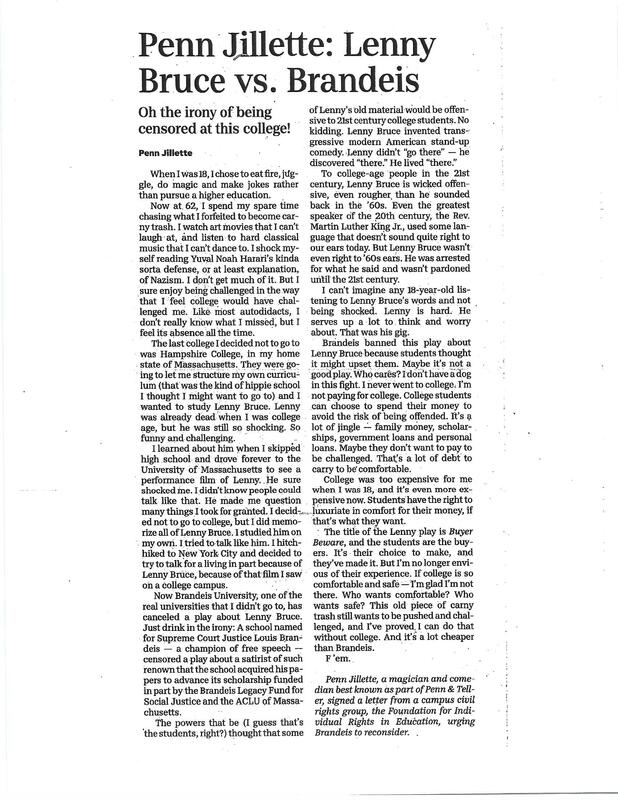 Reading this article, I find it is amazing that colleges once know for opening young minds have become some of the most closed minded places in our nation. Freedom of Speech is more and more limited to freedom to parrot the current group-think. Heaven forbid anyone’s safe space is challenged. Obviously this isn’t just a college phenomenon, but it’s disappointing to see the degree to which it occurs there. I often ponder how much this is due to the prevalence of the Internet. I have to admit I’m one of the people that would be lost without it, so I’m not advocating against it. (Of course I’m not! Here I am pontificating on it to a select few that would never read what I write without it!) But… when it has become so easy to find “news” that just agrees with your existing view, it means you are never challenged by other ideas. It’s too easy to find the source you like and just nod along. I am rarely home in time to watch the evening news, so my main source of news is the Sunday morning recaps. I generally watch Fox News Sunday, then CBS Face the Nation, then NBC Meet the Press and finally PBS’s Washington Week. (Occasionally while on the treadmill, but sometimes that gets my heartrate up too much!) That generally gives me a reasonable smattering of viewpoints from Liberal to Conservative including a few in the middle. Sometimes I hear something infuriating, but then that’s why I watch and attempt to see that viewpoint. I don’t agree with either side all of the time. There are two many gray areas… Something that is ignored in our current political climate of Hard Right and Hard Left pandering to their respective bases and ignoring most of us in the middle. Mr. Jillette says that Lenny Bruce was shocking in the 60’s and would be shocking to most college students in 2017. A jolt to the system can be a good thing. 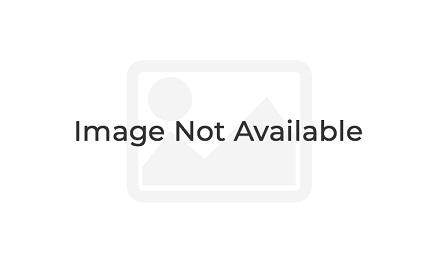 And this is a play… named “Buyer Beware”… so attendance wouldn’t have been required… and there was forewarning in the title… It’s unfortunate that the group decided that not only would they not attend, but that the option to attend should be removed. Maybe some of their peers were open to being shocked… Maybe it would have been good for them.